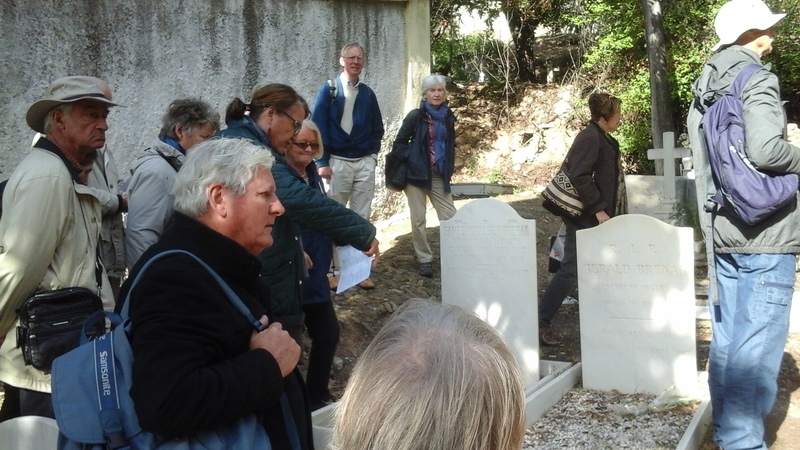 After a most interesting Talk about the author Gerald Brenan by Roberta Kettel in January, we undertook another successful trip to Malaga the following week, when we visited his former home in Churriana. Among other titles, he wrote “South from Granada”. From the house, we returned to Malaga, to visit his grave and that of his late wife Game Woolsey, which are in the English Cemetery. As usual, a very enjoyable trip with like minded people.